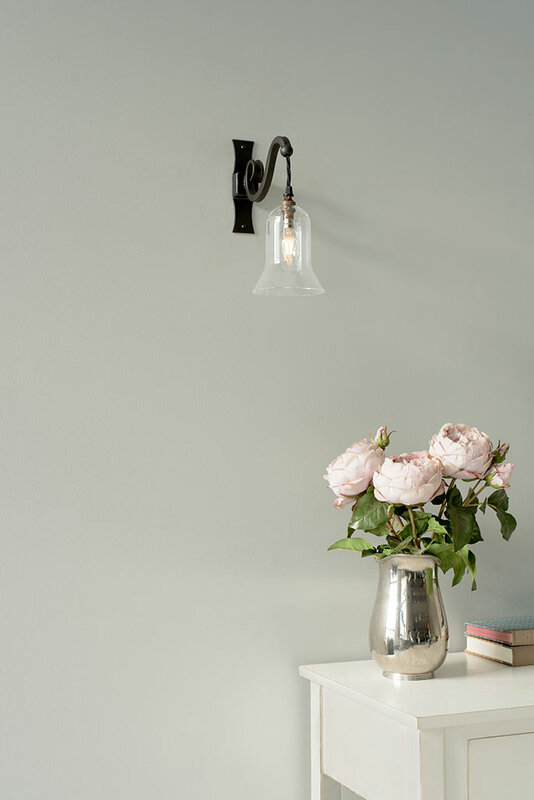 A traditional, hand forged light with equally traditional styling and finished in beeswax. The elegant glass shade is included and can be frosted on request. 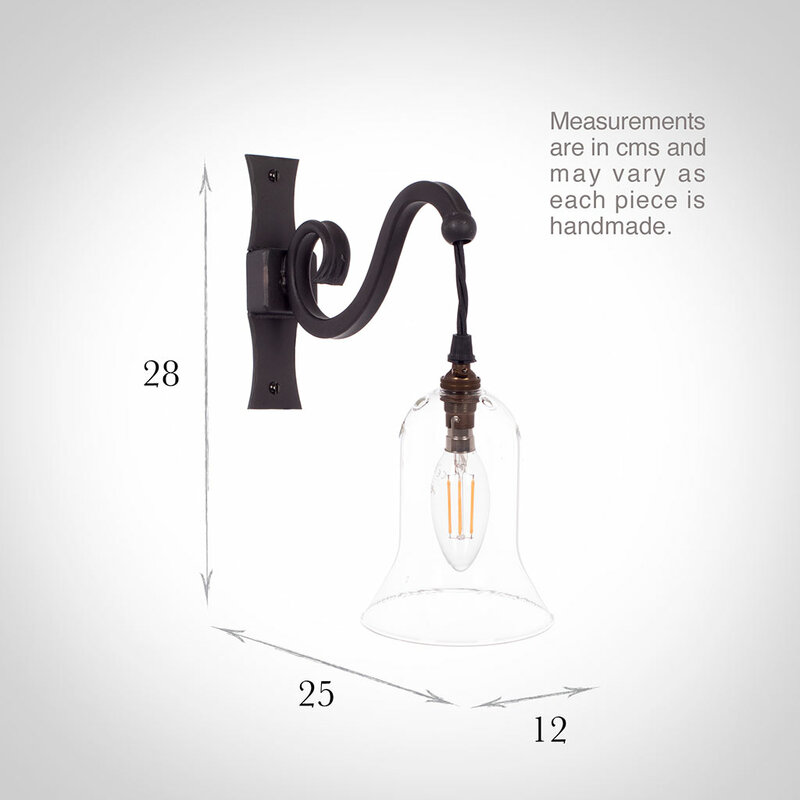 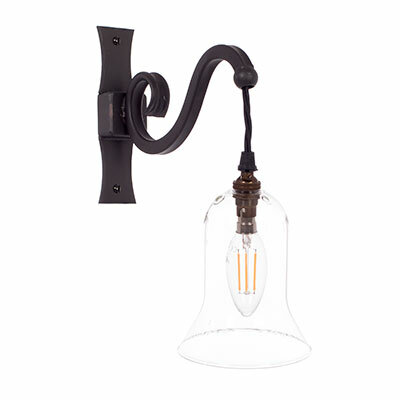 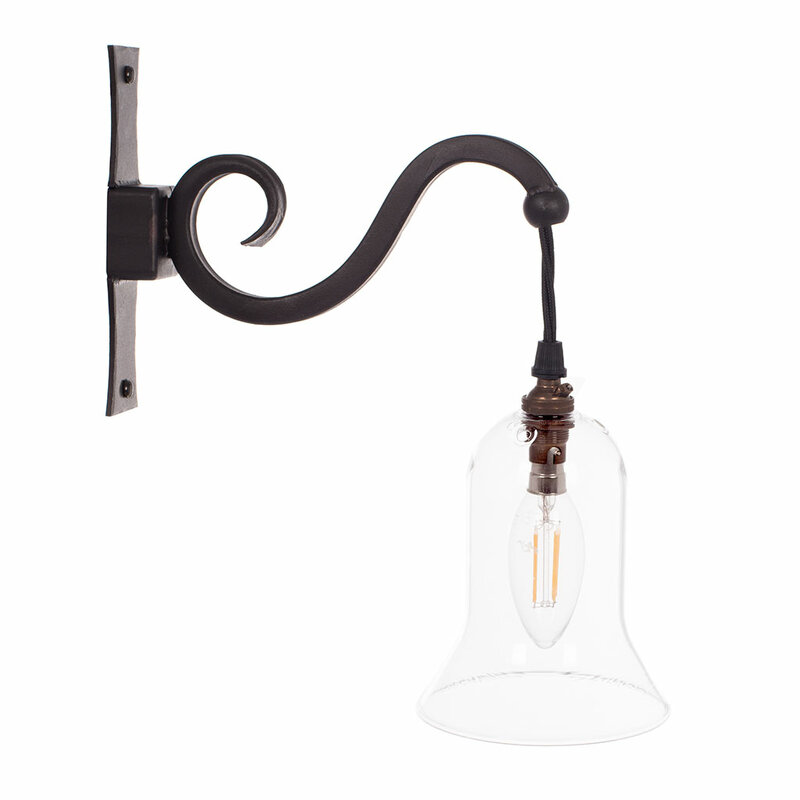 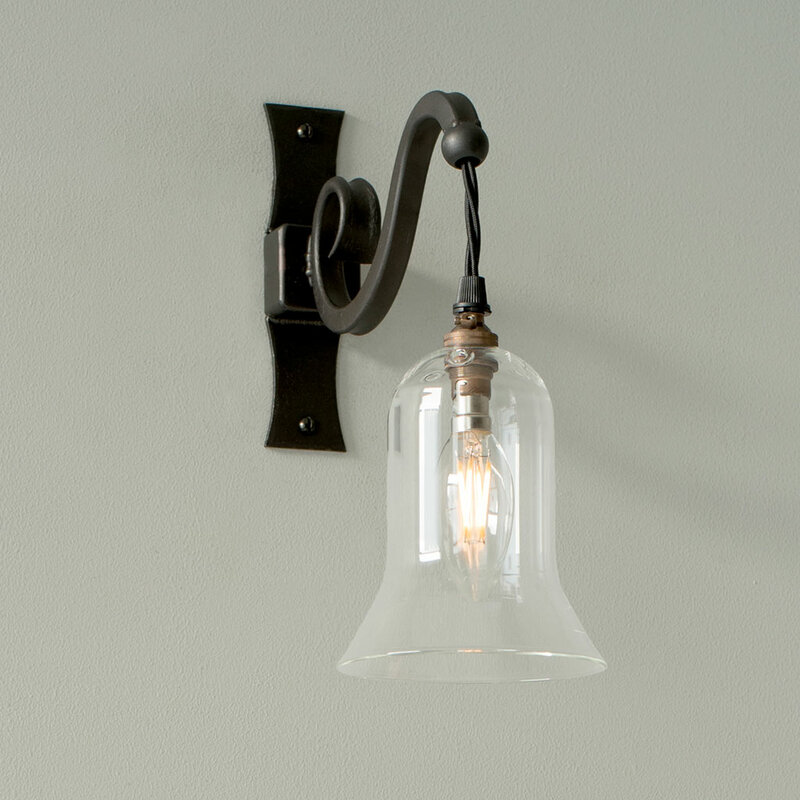 This wall light could highlight a table or sideboard or light up your hall way or landing.